Your current git branch at a glance. Developer website: CodeCooler Development Co.
Is there a better alternative to Heads On Display? Is Heads On Display really the best app in Developer category? 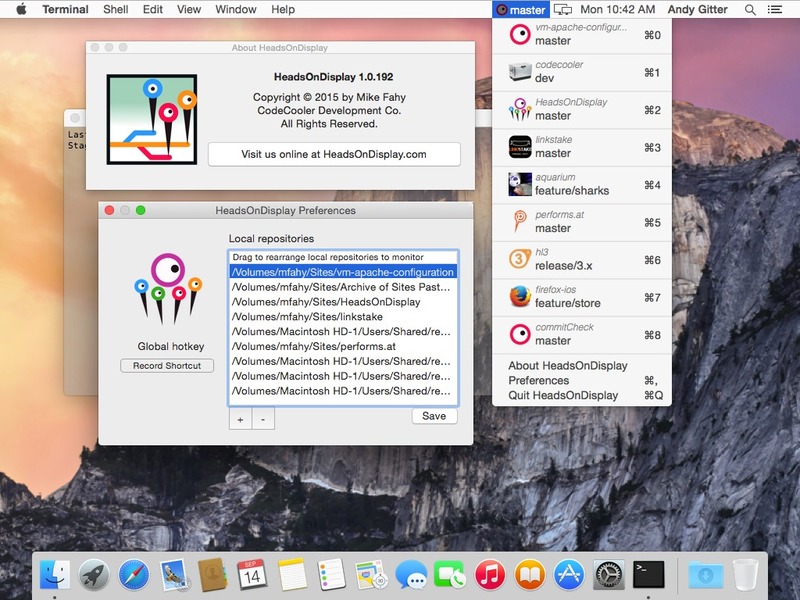 Will Heads On Display work good on macOS 10.13.4? Heads On Display puts an end to not knowing if you're working on the right branch of the version-control repository by showing you exactly what branch you're on, exactly when you need to know. Heads On Display needs a review. Be the first to review this app and get the discussion started! Heads On Display needs a rating. Be the first to rate this app and get the discussion started!